People with an MTHFR variation have issues converting folic acid into the form necessary — L-methylfolate — for it to be active in the methylation cycle. This results in a slowing down of methylation, which affects neurotransmitters and the body’s ability to detoxify. 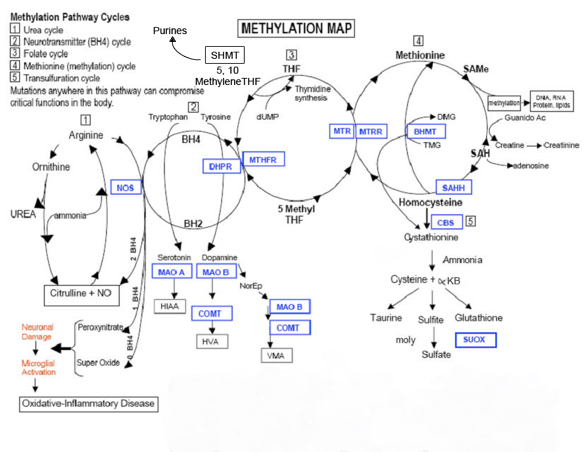 The methyl cycle is the backbone of our physiology. Methyl Cycle abnormalities explain why you are sick from environmental toxins while the guy next door is just fine, why you are autistic while your fraternal twin brother is not. While we cannot change your DNA, if we know your weak links we can create “nutritional workarounds” – we can supplement alternative pathways or withhold from your diet molecules that you cannot handle. The prevalence of neural tube defects are consistent with the prevalence of mutation. Why is this information important in pregnancy? Vitamin B9 (folic acid, folacin, folate) is essential for numerous bodily functions. Humans cannot synthesize folate de novo; therefore, folate has to be supplied through the diet to meet their daily requirements. The human body needs folate to synthesize DNA, repair DNA, and methylate DNA as well as to act as a cofactor in certain biological reactions. It is especially important in aiding rapid cell division and growth, such as in infancy and pregnancy. Children and adults both require folic acid to produce healthy red blood cells and prevent anemia. Women with an MTHFR variation can not utilize vitamin B9 in the synthetic form folic acid. Knowing if you have a variation in this gene will let you know how your midwife can best help you from a nutritional standpoint to help prevent birth defects. Adequate folate intake during the preconception period (which is the time right before and just after a woman becomes pregnant) helps protect against a number of congenital malformations. Keep in mind- The words ‘folate’ and ‘folic acid’ are often used interchangeably but there are important differences between them. Folate is the naturally-occurring form of the vitamin. Spinach, lentils, and garbanzo beans are all good sources of dietary folate. Folic aid is the synthetic form of the vitamin that is used in most supplements and in fortified foods. Too much folic acid, a synthetic form of folate, will block up the L-methyl folate Receptors on the Blood Brain Barrier [BBB]. As a result, too much folic acid and not enough L-methyl folate will cause less L-methyl folate from being able to enter the brain. What is the normal function of the MTHFR gene? The gene MTHFR (Methylenetetrahydofolate Reductase) encodes the protein MTHFR. Its job is to convert one form of folate (5,10-Methylenetetrahydofolate) to another form of folate (5-Methyltetrahydrofolate). 5-Methyltetrahydrofolate is used to convert homocysteine to methionine. Therefore, if MTHFR is not doing its job as well, homocysteine will not be converted to methionine and will be elevated in your blood. What this means is that the genes that instruct MTHFR to convert homocysteine to methionine are mutated and may not be capable of doing this important function. Your homocysteine levels can possibly climb making the blood clot. 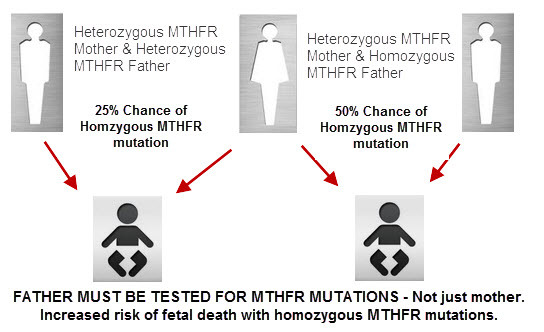 Some doctors don’t check for the MTHFR mutations and rely only on homocysteine levels. This isn’t as reliable as testing for the mutations, because homocysteine levels fluctuate. 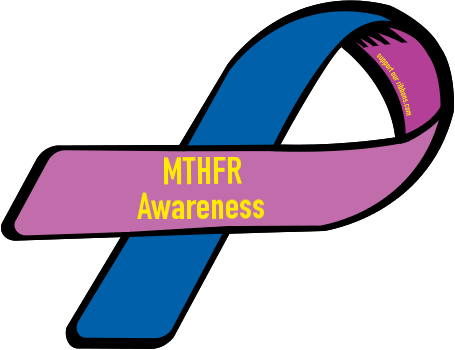 Once a MTHFR variation is confirmed then a number of steps can be taken to minimize health problems due to MTHFR. The treatment of MTHFR related problems is primarily nutritional. Treatment of patients with MTHFR related issues can be simple or complex depending on a variety of factors including: life style, diet, and overall accumulated toxicity. There are two primary issues: the first is augmenting the pathway to produce adequate glutathione and the second is dealing with the accumulated toxic load. B12 plays an important role in metabolism, the building and maintenance of our bodies. Problems with our metabolism can be created by the environment and genetics. When defects occur, the methyl cycle is blocked and metabolism has a difficult time moving forward. To help restart metabolism we use supplements. These help the body skip the blocked steps and continue working as though they had occurred. Methylated B12 (Methylcobalamin) is already in its activated state where the body can use it without having to convert it, skipping many metabolic steps that may not be functioning properly. MTHFR variations can make you susceptible to illness because the pathway is the primary source of glutathione production in the body. Glutathione is the body’s primary antioxidant and detoxifier. People with MTHFR anomalies usually have low glutathione, which makes them more susceptible to stress and less tolerant to toxins. As we age MTHFR problems get much worse due to the accumulation of toxins and the cumulative effect of oxidative stress, which ages our bodies. What are some of the ways MTHFR variations can affect your pregnancy? The mechanism for this concern actually comes from multiple consequences of a mutated MTHFR enzyme. Developing embryos may be adversely affected by toxic levels of homocysteine that result from MTHFR mutations. Altered DNA methylation may also have direct negative effects on gene expression and DNA synthesis. The main concerns here are neural tube defects and other midline defects such as cleft palate, and tongue tie, although they are not the only ones. Noteworthy research includes a study from Ireland showing that 26% of all neural tube defects were related to either the homozygous or heterozygous MTHFR mutations. An interesting question in relation to embryonic development is whether it is the MTHFR variations in the mother or in the developing child that is the critical determinant in the development of congenital defects. It is certainly possible that both mutations play a role. Further research is certainly needed to shed light on this very important area of prenatal and pregnancy health. spina bifida - Polymorphisms in the MTHFR gene are associated with an increased risk of spina bifida, a common type of neural tube defect. In people with this condition, the bones of the spinal column do not close completely around the developing nerves of the spinal cord. As a result, part of the spinal cord may stick out through an opening in the spine, leading to permanent nerve damage. As described above, variations in the MTHFR gene may increase the risk of neural tube defects by changing the ability of methylenetetrahydrofolate reductase to process folate. Polymorphisms in the MTHFR gene have also been studied as possible risk factors for a variety of common conditions. These include heart disease, stroke, high blood pressure (hypertension), high blood pressure during pregnancy (preeclampsia), an eye disorder called glaucoma, psychiatric disorders, and certain types of cancer. The 677C>T polymorphism in the MTHFR gene has also been suggested as a risk factor for cleft lip and palate, a birth defect in which there is a split in the upper lip and an opening in the roof of the mouth. Studies of MTHFR gene variations in people with these disorders have had mixed results, with associations found in some studies but not in others. Therefore, it remains unclear what role changes in the MTHFR gene play in determining the risk of these complex conditions. anencephaly - Anencephaly is one of the most common types of neural tube defect. Affected individuals are missing large parts of the brain and have missing or incompletely formed skull bones. The most well-studied polymorphism related to the risk of neural tube defects changes a single DNA building block (nucleotide) in the MTHFR gene. Specifically, it replaces the nucleotide cytosine with the nucleotide thymine at position 677 (written as 677C>T). This variant, which is relatively common in many populations worldwide, produces a form of methylenetetrahydrofolate reductase that has reduced activity at higher temperatures (thermolabile). People with the thermolabile form of the enzyme have increased levels of homocysteine in their blood. The increased risk is related to differences in the ability of methylenetetrahydrofolate reductase to process folate. A shortage of this vitamin is an established risk factor for neural tube defects. homocystinuria - At least 40 mutations in the MTHFR gene have been identified in people with homocystinuria. Most of these mutations change single amino acids in methylenetetrahydrofolate reductase. These changes impair the function of the enzyme, and some cause the enzyme to be turned off (inactivated). Other mutations lead to the production of an abnormally small, nonfunctional version of the enzyme. Without functional methylenetetrahydrofolate reductase, homocysteine cannot be converted to methionine. As a result, homocysteine builds up in the bloodstream, and the amount of methionine is reduced. Some of the excess homocysteine is excreted in urine. Researchers have not determined how altered levels of homocysteine and methionine lead to the health problems associated with homocystinuria. I tested positive for a MTHFR variation (C677T or A1298C) what supplements do I need to begin for the best nutrition during my pregnancy? Designs for Health Prenatal Pro will have most of the supplements you need to get started. Individual supplements can be added for your individual needs; Vitamin B6 may be added, Krill oil, Glutathione, Electrolytes, Vitamin E, etc. R. M. C. Dawson: Data for Biochemical Research, Oxford University Press, Oxford, 1989, 3rd Edition, p. 134, ISBN 0-19-855299-8. Ural, Serdar H. (2008-11). “Folic Acid and Pregnancy”. Kid’s Health. “Definition of vitamin Bc”. Medical-dictionary.thefreedictionary.com. Retrieved 2012-09-09. Mayo Clinic Web Editors . Folate.http://www.mayoclinic.com/health/folate/NS_patient-folate/DSECTION=synonyms (accessed Nov 15, 2010),additional text. Bailey SW, Ayling JE (September 2009). “The extremely slow and variable activity of dihydrofolate reductase in human liver and its implications for high folic acid intake”. Proceedings of the National Academy of Sciences of the United States of America 106 (36): 15424–9. Bibcode:2009PNAS..10615424B.doi:10.1073/pnas.0902072106. PMC 2730961.PMID 19706381. Weinstein SJ, Hartman TJ, Stolzenberg-Solomon R,et al. (November 2003). “Null association between prostate cancer and serum folate, vitamin B(6), vitamin B(12), and homocysteine”. Cancer Epidemiol. Biomarkers Prev. 12(11 Pt 1): 1271–2. PMID 14652294. “Dietary Supplement Fact Sheet: Folate”. Office of Dietary Supplements, National Institutes of Health. Botez MI (1976). “Folate deficiency and neurological disorders in adults”. Med. Hypotheses 2 (4): 135–40.doi:10.1016/0306-9877(76)90068-2. PMID 958035. Shaw GM, Schaffer D, Velie EM, Morland K, Harris JA (May 1995). “Periconceptional vitamin use, dietary folate, and the occurrence of neural tube defects”. Epidemiology 6 (3): 219–26. doi:10.1097/00001648-199505000-00005.PMID 7619926. Mulinare J, Cordero JF, Erickson JD, Berry RJ (December 1988). “Periconceptional use of multivitamins and the occurrence of neural tube defects”. JAMA 260 (21): 3141–5.doi:10.1001/jama.1988.03410210053035.PMID 3184392. Milunsky A, Jick H, Jick SS, Bruell CL, MacLaughlin DS, Rothman KJ, Willett W (1989). “Multivitamin/folic acid supplementation in early pregnancy reduces the prevalence of neural tube defects”. Journal of the American Medical Association 262 (20): 2847–2852.doi:10.1001/jama.262.20.2847. PMID 2478730. Wilcox AJ, Lie RT, Solvoll K, et al. (March 2007). “Folic acid supplements and risk of facial clefts: national population based case-control study”. BMJ 334 (7591): 464.doi:10.1136/bmj.39079.618287.0B. PMC 1808175.PMID 17259187. Goh YI, Koren G (January 2008). “Folic acid in pregnancy and fetal outcomes”. J Obstet Gynaecol 28 (1): 3–13. doi:10.1080/01443610701814195.PMID 18259891. Scholl TO, Johnson WG (May 2000). “Folic acid: influence on the outcome of pregnancy”. Am. J. Clin. Nutr. 71 (5 Suppl): 1295S–303S. PMID 10799405. Insomnia, irritability, forgetfulness, endogenous depression, organic psychosis, peripheral neuropathy, myelopathy and restless leg syndrome are all also mentioned in the literature as potentially being influenced by this enzyme deficiency. The MTHFR C677T homozygous genotype has also been associated with an increased risk for migraine with aura in most ethnic groups except for Caucasian populations (Schurks M., et al. Headache. 2010; 50(4):588-99). In a recent metanalysis, there was a relationship between the C677T mutation and increased susceptibility for depression (Lewis, X. Molecular Psychiatry.2006;11, 352–360). The information presented here is for your reading information only and is not intended to treat, diagnose or prescribe in any way. Use the information at your own risk. It is highly recommended that you discuss this information and any nutritional changes with your midwife or doctor. Always seek the advice from your own healthcare professional.